Book and deposit before 31 January 2019 and save a flight credit of $1200 per person (subject to cruise date). In addition, we will include a complimentary pre-voyage hotel night combined with an onboard US$50 dining/spa credit. 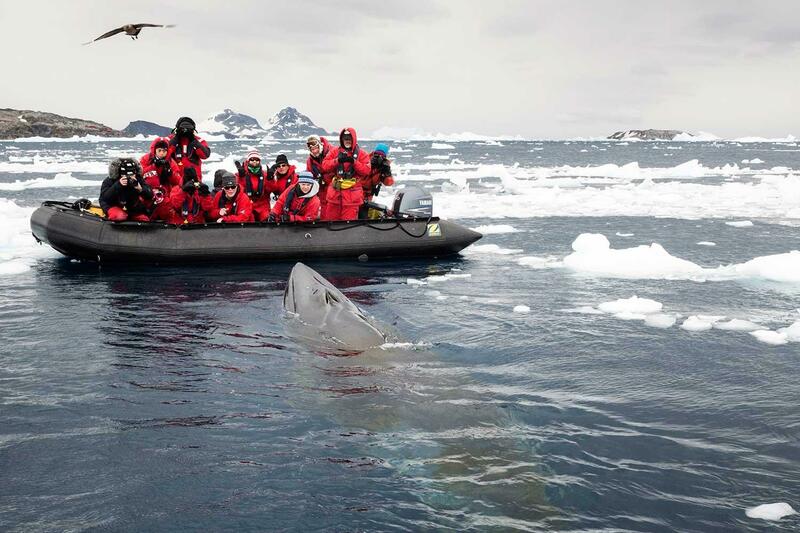 Enjoy the best of an Antarctic late summer on this luxurious and exciting expedition. 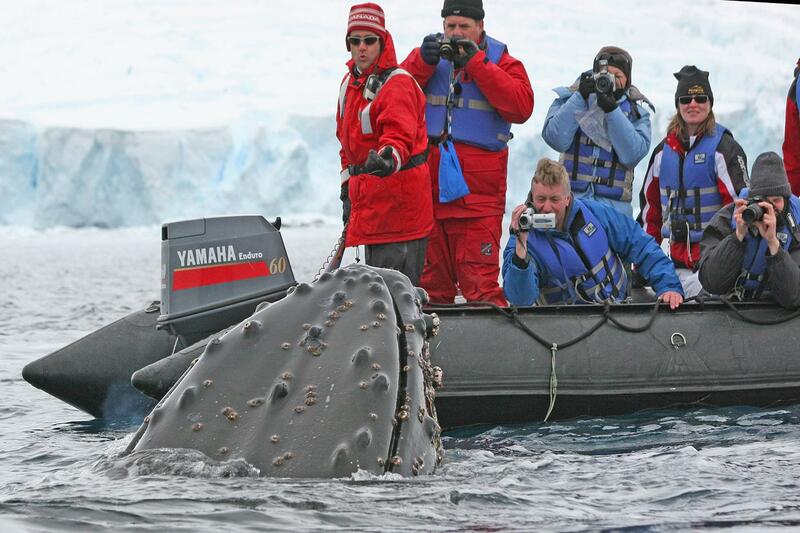 March is a time of great activity in Antarctic waters and historically we encounter a higher concentration of whales during this period. They are busy feeding prior to their annual migrations to tropical waters. However, scientists are now discovering that some whale species remain in the ice-free sections of Antarctica over winter. This is also a fascinating time to experience the change of seasons, with fresh dustings of snow on the peaks, and sea ice returning. 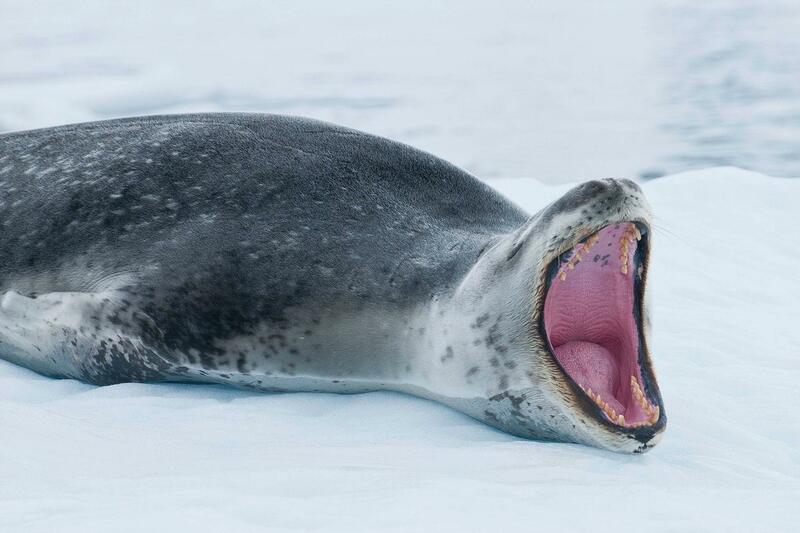 On this voyage we plan to visit several known locations along the Antarctic Peninsula that are the focus of long- term research projects by esteemed academic institutions including University of California (Santa Cruz), California Ocean Alliance and the Australian Antarctic Division's Marine Mammal Centre. We are joined on the ship by several world-renowned cetacean (whale) experts and observe their important scientific fieldwork in close proximity. They share with us unique underwater footage and scientific data and interpret the behaviour, migration characteristics and feeding patterns of adult whales and their calves. Their participation on our voyage is greatly valued and provides a fascinating glimpse into cutting-edge Antarctic research. Antarctica’s seals are also found in sizable numbers late in the season, resting and storing energy that will sustain them over winter. 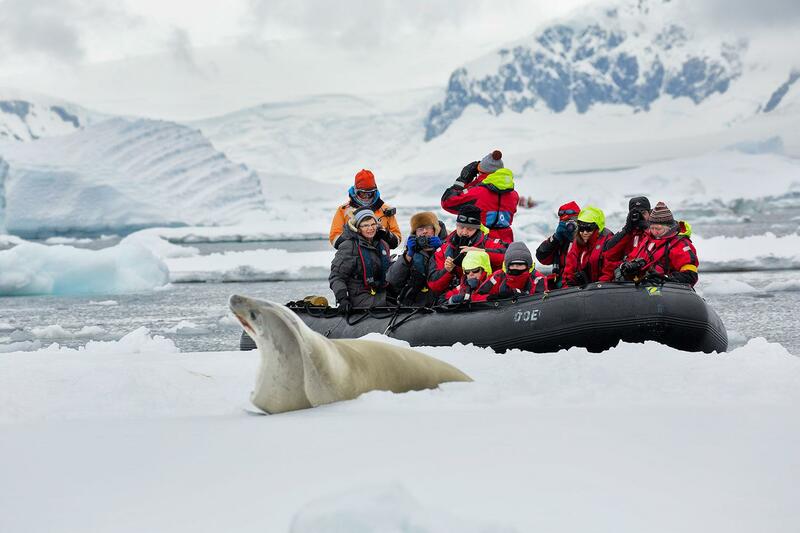 For those with a passion for Antarctica's marine mammals, this unique voyage should not be missed. Oh, and did we mention it’s also our favourite time of the year for blazing orange and pink Antarctic sunrises and sunsets? DAY 1 / SANTIAGO (CHILE) TO STANLEY (FALKLAND ISLANDS) We depart Santiago this morning on our special charter flight direct to Stanley, the small capital of the Falkland Islands. We are met on arrival and transfer from the airport into town. There is time to explore the town or enjoy a guided visit to nearby Gypsy Cove which provides our first opportunity for observing the local wildlife, including nesting Magellanic penguins and other sea birds. Making our way to the port, we board our expedition ship, RCGS Resolute in the afternoon. 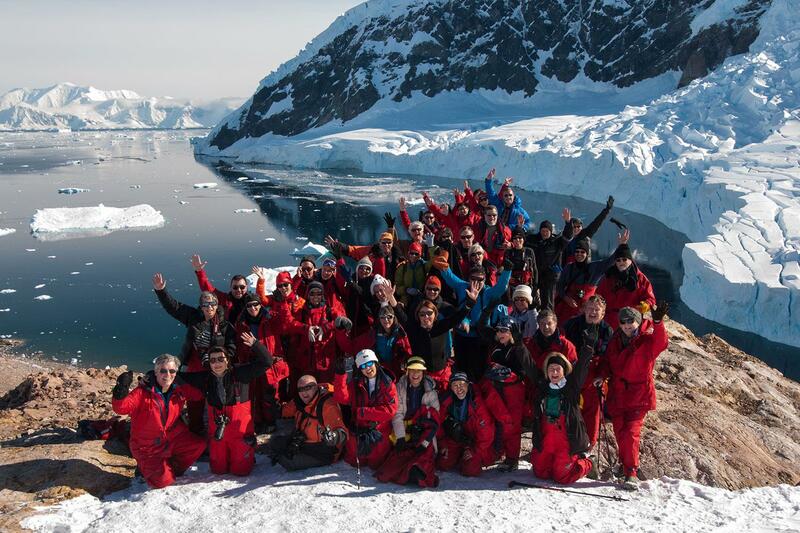 After settling into our cabins and exploring the ship, we meet our expedition team and fellow passengers. Excitement is in the air as we enjoy a welcome cocktail and cast off to explore one of the most remote regions on Earth. 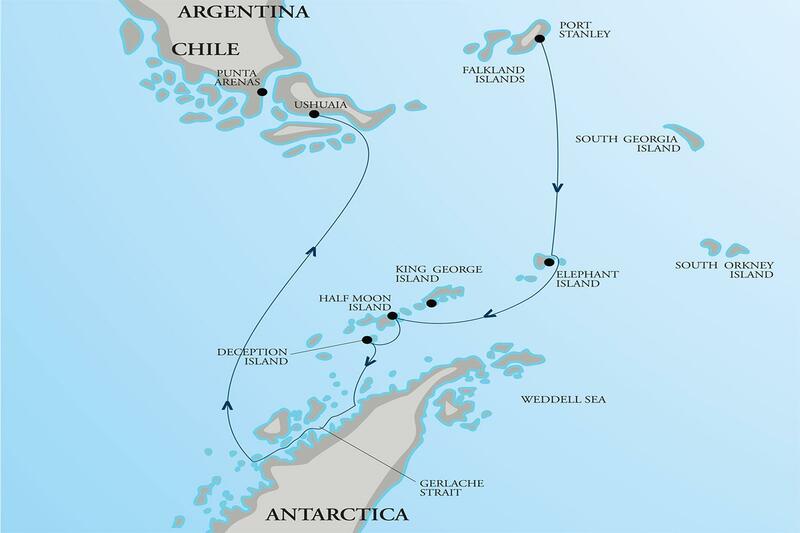 DAYS 2-3 / AT SEA – TOWARDS ANTARCTICA We chart a southerly course for Antarctica. The Scotia Sea is rich in bio-diversity and showcases a great abundance of wildlife. We are joined by hundreds of seabirds including the wandering albatross. Photographing these magnificent birds takes patience and skill and our photography expert will be on hand to show you the best techniques. Throughout the day our onboard experts educate us with a series of presentations about the environment, the wildlife and history of the locations we hope to visit in the coming days. There is great excitement when the dark cliffs of Elephant Island appear on the horizon. 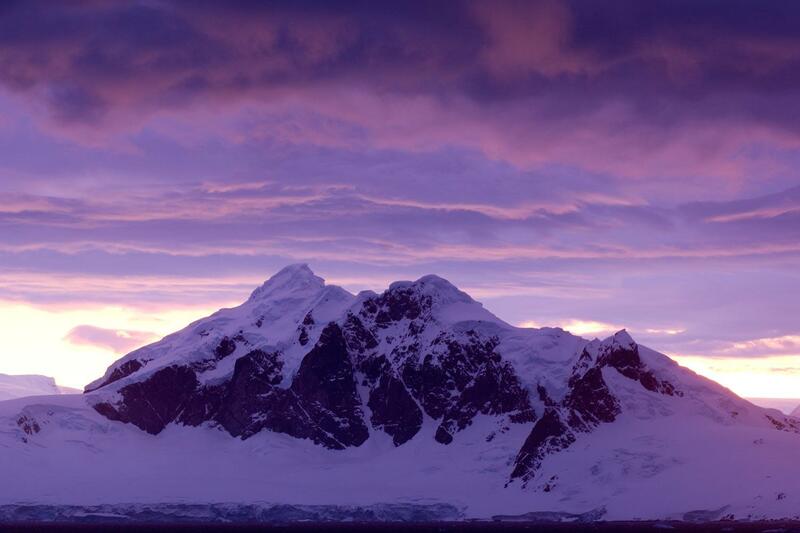 This is one of Antarctica's most important historic locations and a fitting introduction. On the rocky beach at Point Wild, Shackleton and his men camped here for many months under their three upturned life boats, having lost their ship, HMS Endurance in the thick sea ice, far to the south in the Weddell Sea in 1915. It was from this location that Shackleton and six companions set off on the rescue mission to South Georgia, aboard the tiny lifeboat, James Caird. To this day, the epic ocean crossing and crossing of South Georgia on foot is considered one of the greatest tales in polar history. If weather conditions permit, we aim for a Zodiac cruise to view the site from close proximity. This is a thrilling location for history buffs and sets the scene for an exciting expedition. DAYS 4-6 / SOUTH SHETLAND ISLANDS AND NORTHERN GERLACHE STRAIT We head south overnight, navigating into the Bransfield Strait, wondering about the days of exploration ahead. 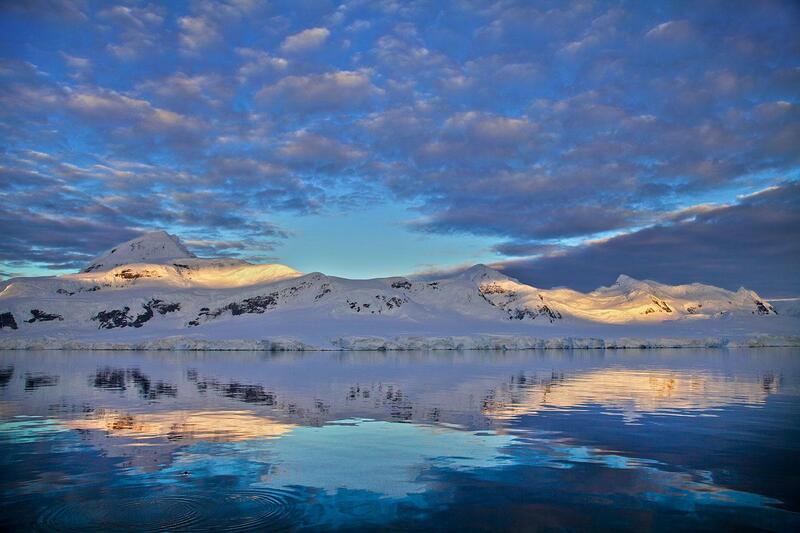 The coastline of the Antarctic Peninsula provides literally a hundred or more sites for potential shore landings and excursions. The expedition team will be looking forward to showcasing some of the well- known locations, and visiting a few hidden gems we have discovered over the years. Approaching the South Shetland Islands on our way south, we may aim for a shore landing at Half Moon Island – home to a boisterous colony of nesting chin strap penguins. A short hike brings us to elephant seal haul out. These are fascinating animals to observe as the naturalist guides explain the unique family dynamics and behavior. There are several other nearby locations, including Yankee Harbour or Hannah Point which we may chose as alternative landing sites. A thrill for many will be sailing the ship into the flooded volcanic caldera of Deception Island. At Whalers Bay, the remains of a rusting old whaling station provide a glimpse into history. There are a couple of excellent hiking routes here – one up to a high point overlooking the entire bay. Another to the far end of the black-sand beach where an old aircraft hanger can be viewed. It’s from here, the very first flight in Antarctica took to the air. It’s an awe-inspiring site as we approach with glacier covered mountains stretching as far as the eye can see. We enter the maze of islands and waterways and enjoy shore landings, Zodiac cruises and kayak excursions several times per day. Willhelmina Bay is always an impressive location and one we often find large pods of humpack whales. Ship cruising into the Errera Channel, we have a couple of great landing sites to consider including Cuverville Island – with its sizeable Gentoo penguin rookery. Nearby Danco Island, has a fantastic hike to the snow-covered summit, providing staggering views. Neko Harbour is another possibility for a landing and maybe our very first opportunity to step foot on the actual continental landmass of Antarctica. A very active glacier can be heard creaking and groaning, and it is common to observe large slabs of ice calving from the glacier face into the dark waters. DAYS 7-8 / SOUTHERN GERLACHE STRAIT EXPLORATION While we’re enjoying the fabulous surroundings and revelling in our busy activity program, the research team will be out in the Zodiac’s observing and recording the movements of the migrating whales. This is done through non-invasive tags which attach to the animals using suction cups for around 12-24 hours. The digitally recorded data provides great insight into the feeding behavior, dive profiles and migration patterns of several whale species. The science team will share their observations and findings once back on board the ship and are happy to discuss their important work. It provides a fascinating insight into the current scientific field research happening in Antarctica. As we push further south we have a few more glorious locations to explore. Paradise Harbour provides us with another opportunity for a continental landing. A climb to the top of hill above the old Argentine refuge reveals another spectacular viewpoint. Zodiac cruising under the cliffs here allows us to observe nesting imperial cormorants, and after a short distance we come to Skontorp Cove. This narrow body of water is surrounded by immense glaciers on three sides – one guest likening it to a ‘heavenly ice cathedral’. It's easy to see why. We continue to push further south, hoping that ice conditions allow for a transit of the Lemaire Channel. Snow covered cliffs tower about the Lemaire on both sides and slowly navigating on the ship through here is a thrilling experience. 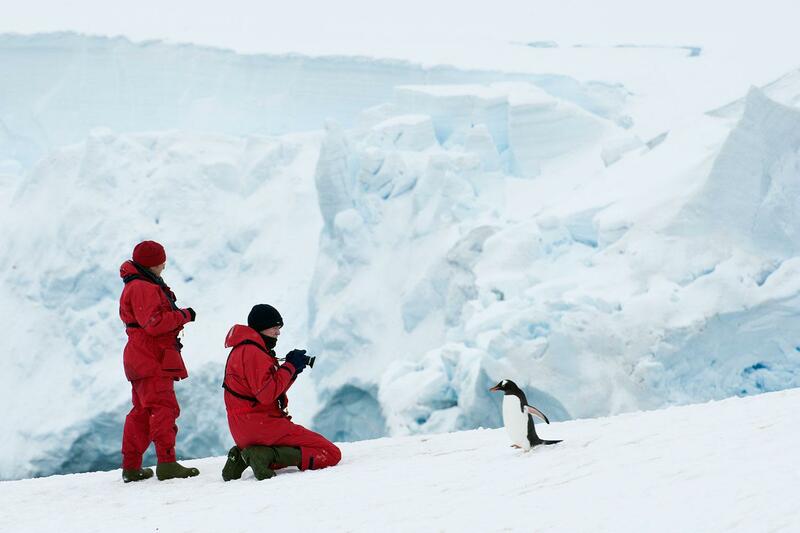 At Pleneau Island, we visit and observe a substantial gentoo penguin rookery. In the shallow waters nearby, we witness a vast field of icebergs which have run aground after drifting on the current and the winds. For many, a Zodiac cruise here will be a highlight of the trip. A working science station is located in the vicinity and a visit to the base provides an intriguing insight into the life of permanent residents in Antarctica. The station staff welcome us ashore and provide a tour of the facilities and explain the important climate change research work taking place. Nearby Winter Island allows for an excellent hike over a snowy saddle to an old historic hut. As we return to the ship, we cast our gaze back to the north towards the soaring peaks of Mount Shackleton and nearby Mount Scott. This is an impressive sight. The time has come for us to weigh anchor and commence our return journey to South America. DAYS 9-10 / DRAKE PASSAGE – RETURN TO SOUTH AMERICA As we make our way back to South America, the educational presentations continue and we enjoy an entertaining and memorable voyage recap by our Expedition Leader. Join our photography experts at the multimedia stations and download your precious images. If weather conditions allow, we hope to make a rounding of Cape Horn. This fabled stretch of water is home to legendary tales of exploration and early navigation. It is a fitting place to reflect on a wonderful expedition. Approaching the entrance to the Beagle Channel in early evening light, we enjoy a special dinner attended by the Captain of the ship. DAY 11 / ARRIVE USHUAIA (ARGENTINA) – VOYAGE CONCLUDES In the early morning, we arrive into Ushuaia, Argentina. It is time to say farewell to your crew and fellow travellers. Guests will be transported to their hotels or to the airport for return flights home. It will be possible to connect to flights through to Buenos Aires or other destinations in South America. Otherwise enjoy a night in town or venture further afield to explore the highlights of Patagonia. 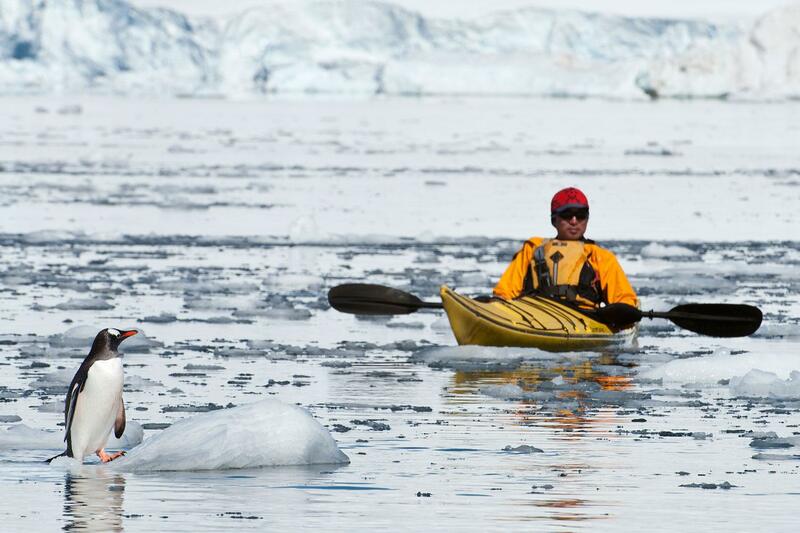 ABOUT OUR ITINERARY: Polar exploration can be unpredictable. Specific sites visited will depend on prevailing weather and ice conditions at the time of sailing. The above itinerary should be read as a ‘guide only’ and may change. The ship’s Captain in conjunction with the Expedition Leader continually review the sailing plan throughout the voyage, making adjustments to the itinerary along the way to take advantage of optimal weather and ice conditions or to maximize our encounters with wildlife. Decades of experience spent exploring these waterways mean we have a large number of outstanding landing sites and Zodiac cruising locations to consider, even when the weather conditions may not be ideal or when heavy ice may hinder our planned route. A flexible approach is something we encourage you to bring to the ship. GETTING THERE... IMPORTANT VOYAGE LOGISTICS This trip commences in Santiago – Chile’s elegant capital city. We recommend you arrive in Santiago at least one day prior to the scheduled voyage departure date. This gives you a buffer in the event of any unexpected travel delays between home and trip departure time. From Santiago we fly south to Stanley in the Falkland Islands via a special charter flight service. We transfer into town and have time to explore or enjoy a visit to Gypsy Cove prior to ship embarkation. Our voyage is complete when we arrive back into Ushuaia. A transfer from the ship to the airport, or local hotels is provided upon disembarkation. Or consider spending a night in Ushuaia at the conclusion of your voyage. Full joining instructions will be provided in your final travel documentation. If you have questions before this time, please ask us.